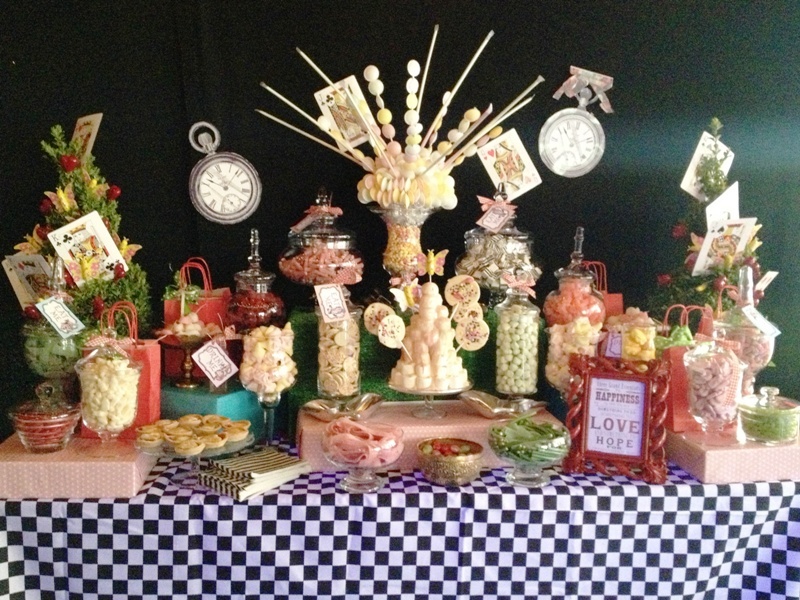 Everyone loves an Alice in Wonderland theme? 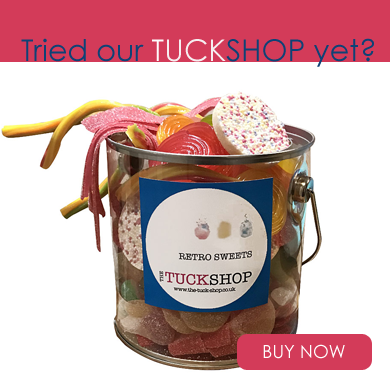 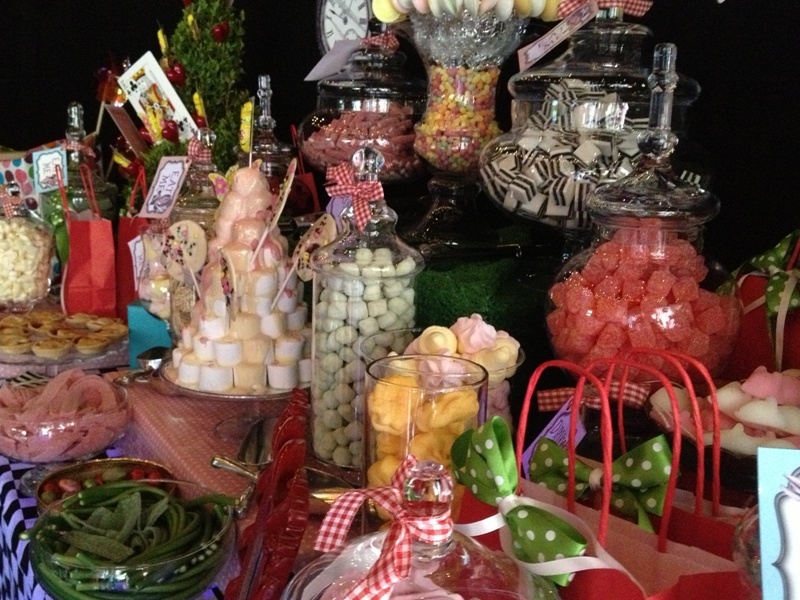 Create a candy buffet to engage all your senses. 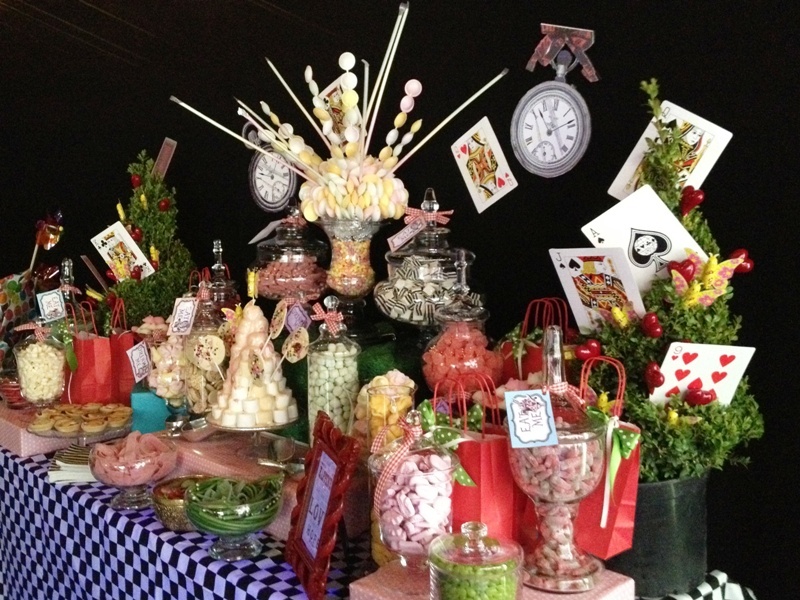 Bonkers and eclectic was the brief from our client for this themed Candy buffet, we even included some Queen of Hearts jam tarts too! 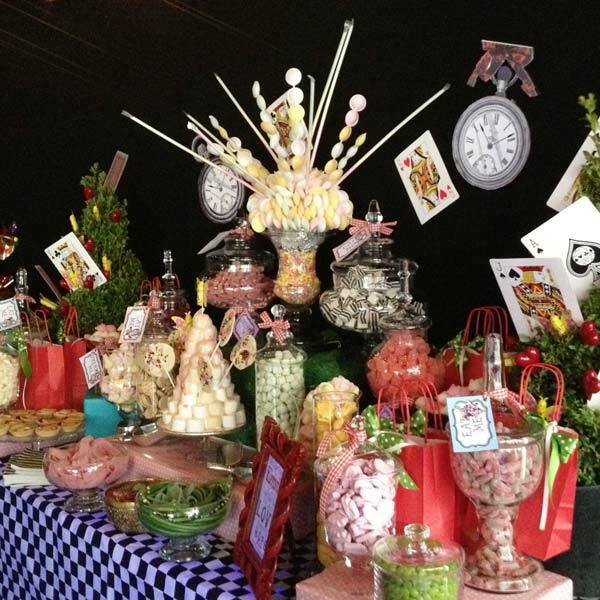 We have a Flying Saucer sweetie tree and a signature chocolate marshmallow tower complete with home made chocolate lollipops.